When I heard that Ender's Game was finally in production, I got started on what I though the theme should be. Epic yet innocent: lonely, angry, somber and determined yet hopeful. I'm reaching out to the producers to try to get it into the film, but not being a Hollywood insider, it's an uphill battle (for me, the gate is always west, to Hollywood). The song may need a jeesh - please feel free to download it and share it with other fans of the Enderverse. It's a free download until the movie is released in 2013. Wow! thanks GD. 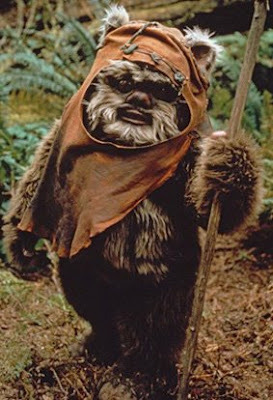 Nice ewok photo by the way. Cool! Great job, sounds very professional.